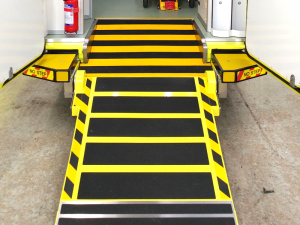 After many years of supplying accessible ramps and mechanisms, particularly to ambulance providers, Lateral Design Ltd (Keighley) has entered Administration. For those providers who have Lateral products, IAA business partner Ambulance Parts Ltd (based near Preston) stock a full range of spares for Lateral wedge ramps, including the drive-gear components for next day delivery. Life Connections 2019 takes to the road again.